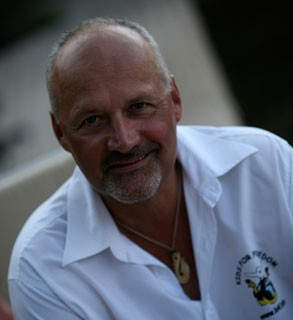 In the spring of 2007, I, Bernhard Blaha, founded PHOENIX YACHTING with my wife Maria and Geronimo “Bobo” Schiedlbauer. After being employed in different roles in the marine industry since 1986, the time came to establish a yachting business according to my own ideas which was more than “just a charter business.” A number of loyal staff members who have accompanied me for several years and were thrilled with the idea also made the decision easy. Besides a number of suppliers and service providers who were absolutely committed to Phoenix Yachting from the start, we were particularly pleased that the renowned factories DUFOUR YACHTS and NAUTITECH CATAMARANS adopted us as officially authorized dealers. Chartering, sailing events, training, services and boat sales are among the most complex services in the aquatic sports industry. The goal was to combine all these components in one brand. Our success is based on 25 years of experience and the enthusiasm of my partners and staff. Our professionalism based on passion and active yachting allows for a unique company culture. Our pleasure in dealing with yachting enthusiasts is always noticeable and a far cry from ordinary boat charter. We are also happy to make these services available to private yachts and are glad to have experienced a great deal of acceptance. Visions are always sounded for their feasibility and implemented with appropriate caution. The size and locations of our three Turkish bases are maintained to ensure that a familial atmosphere and the best technological assistance are always given. Cruises can be planned individually, so that one-ways always start and end in a Phoenix base. This allows for many creative possibilities – from sporty long-haul yachting to comfortable family cruises. This visionary approach is also reflected in the choice of yachts and their detailed equipment. Over 80% of the fleet have battened mainsails and a correctly sized spinnaker or gennaker is available for every yacht. More and more boats have bow thrusters, air conditioning, generators, electric winches and much more. Since 2012, all our ships are also equipped with on-board WLAN. In 2010, we established the internationally recognized RYA Training Centre in Marmaris, together with our partner East Anglian Sea School in England. This not only completes our range of services, butalso takes the quality of our skippers to a higher level and counters the trend of countless “new sailing schools.” The hands-on training, paired with British seamanship and excellently trained instructors and examiners, corresponds with Phoenix Yachting’s quality standards. Finally, I would like to allude to our sailing events. In 2005, my wife and I began to specialize in sailing events organizing on the Turkish Coast. Since then, we have organized almost 100 fun regattas, corporate events and international races in Sardinia, Corsica, Tuscany, Majorca and the Caribbean. I completed the training as an ISAF judge and race officer, together with Ms Judith Hofler, who is the head of the office in Vienna. I can say with full conviction that we play a leading role in the Mediterranean amateur sailing events industry. We always strive to advance and improve ourselves. For this purpose, we very much rely on your feedback. Please inform us about your requests, as well as your complaints. This gives us the chance to remain at the top of the marine industry.